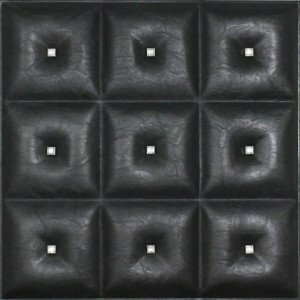 These new and fabulous 3D faux leather ceiling tiles have a stunning resemblance to real leather. They are 15 3/4″ x 15 3/4″, can be cut with a miter saw, and install easily with hot glue. 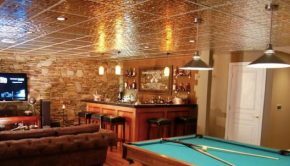 Their soundproofing qualities make faux leather panels ideal for use in a venue that has a tendency to get overly loud since they will help absorb the noise. 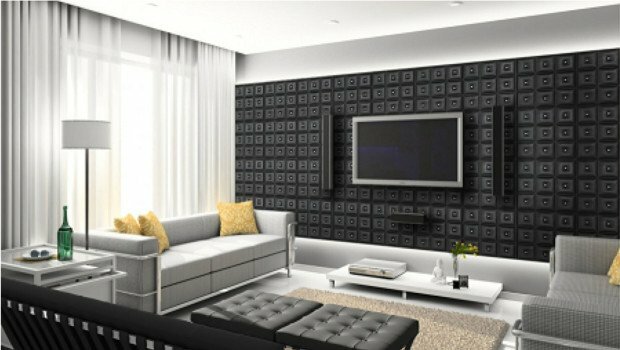 As you can see, faux leather tiles work particularly well on walls. Ideal for use in restaurants, hotels, pubs, movie theaters, home theaters, media rooms, libraries, game rooms and basements. They even look great as bedroom headboards. Transform your space from plain to beautiful in hours! 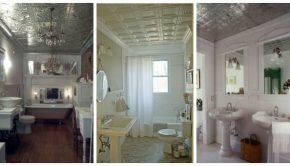 Summary: These new and fabulous 3D faux leather ceiling panels have a stunning resemblance to real leather. 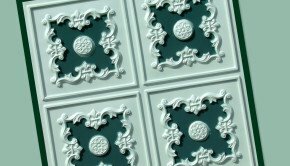 These tiles work particularly well on walls. Ideal for use in restaurants, hotels, pubs, movie theaters, home theaters, media rooms, libraries, game rooms and basements. They even look great as bedroom headboards.